Functional classification of yellow perch unigenes based on three main Gene Ontology (GO) categories: biological process, molecular function and cellular component. Welcome to the homepage for The Center for Specialty Crops at The Ohio State University South Centers. The mission of our center is to develop specialty crops including fruit and vegetable crops as alternative agricultural crops, that can be economically grown and marketed from southern Ohio and beyond to enhance the income of Ohio farms through applied research and education in production and marketing. Since it opened in 1991, the South Centers has focused on new specialty crops, such as strawberries, pawpaw, blueberries, brambles, wine grapes, hops, malting barley, tomatoes, peppers, and pumpkins. More recently, we have expanded our programs to include other specialty crops, such as currants, gooseberries, elderberries, hardy figs, hops, and malting barley. Our strong team of extension and research members bring combined over 50 years of specialty crop research and teaching to the South Centers. Dr. Gary Gao and Mr. Brad Bergefurd are the co-leaders of the Center for Specialty Crops. Dr. Gary Gao primary research projects currently include blackberries, blueberries, elderberries, raspberries, and wine grapes while Mr. Brad Bergefurds research emphasis includes strawberries, hops, high tunnel tomato production, pumpkins and pawpaw orchards. The Center for Specialty Crops provides extension education and outreach programming and technical assistance to specialty crop growers to support our extension mission. While The Specialty Crops Center is based at Piketon, Ohio, we offer our education and consulting programs statewide. 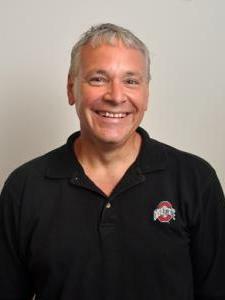 Dr. Gao is an adjunct associate professor with the Department of Horticulture and Crop Science and Mr. Bergefurd guest lectures the graduate and undergraduate organic and vegetable crop classes on the OSU campus. Bergefurd is also the halftime Agriculture and Natural Resources Educator with OSU Extension in Scioto County. Please contact our Team if you have a need for technical assistance, questions or suggestions for our extension programs and research projects. Check back often for news, events, and current research results. Dr. Gary Gao, Extension specialist for small fruit crops and associate professor, primarily conducts applied research and extension programs in the areas of blackberries and raspberries, blueberries, currants and gooseberries, and winegrapes. Mr. Brad Bergefurd, Extension specialist for horticulture, conducts research and extension programs in vegetable crops and plasticulture strawberries. For additional Horticulture staff, please see the directory. Please visit our individual pages for more information. You are also welcome to contact Charissa Gardner to be placed in our email lists for upcoming programs and newsletters.